The Lamb Tavern iconic London wedding venue. I do love an unusual venue. 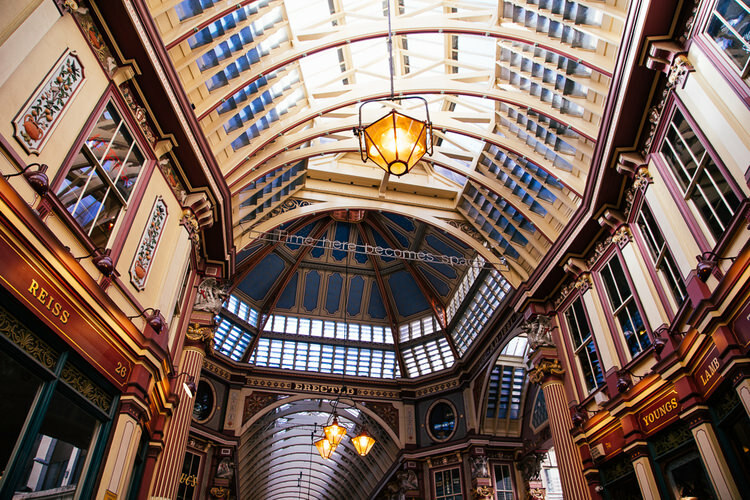 One that is steeped with history but still full of so much fun and vibrancy. The Lamb Tavern is just that. With stunning surroundings and arches to die for you are sure to get some absolutely amazing photographs to cherish. Having had my own wedding reception in a pub I have first hand knowledge of what a fantastic wedding venue they make. Relaxed but full of history and oodles of charm. They will always have a soft spot in my heart when it comes to weddings. The Lamb Tavern wedding venue. 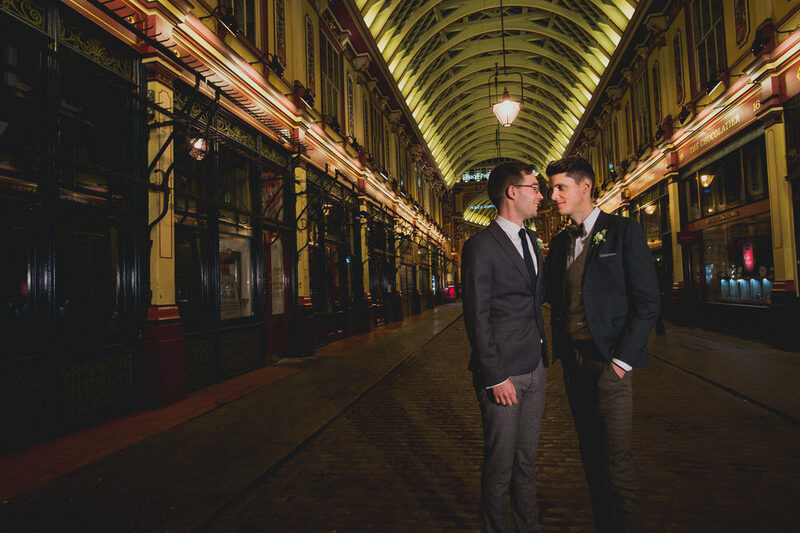 Housed within the arcade of the iconic 14th Century Leadenhall Market in London, a Grade II listed structure, The Lamb Tavern provides a vibrant and unique backdrop to an unforgettable big day. 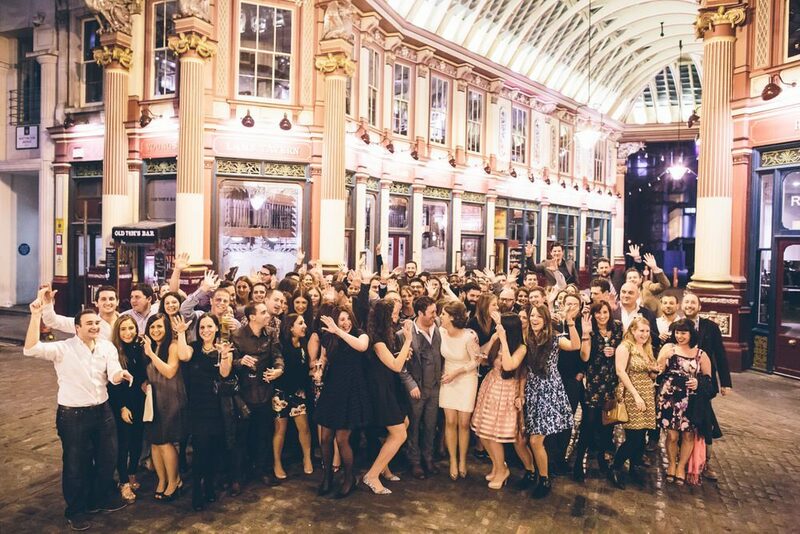 The betrothed and their guests can experience a celebration like no other in the UK’s capital. The building also famously stands on the centre of Roman London – making it an ideal location for those looking for a celebration with a hint of English heritage. Established in 1780, The Lamb Tavern offers unparalleled views across the historical market, a stunning tourist attraction coloured in brilliant red and regal blue hues, beautiful glasswork and arched ceilings intricately contracted from wrought iron. Available for exclusive hire over the weekend, the classic yet contemporary styled public house is spread over a total of three floors and comprises three distinct sections. Couples may choose to host arrival drinks or a post-nuptial canapé reception in the Main Bar and Mezzanine, followed by the wedding breakfast in the elegant top floor Dining Room, boasting large bay windows overlooking the outstanding Victorian marketplace; before retiring to basement speakeasy Old Tom’s Bar to dance the night away. Or – why not hire all three for a classic cocktail reception spanning the expanse of the venue, which has a capacity of up to 200 people. 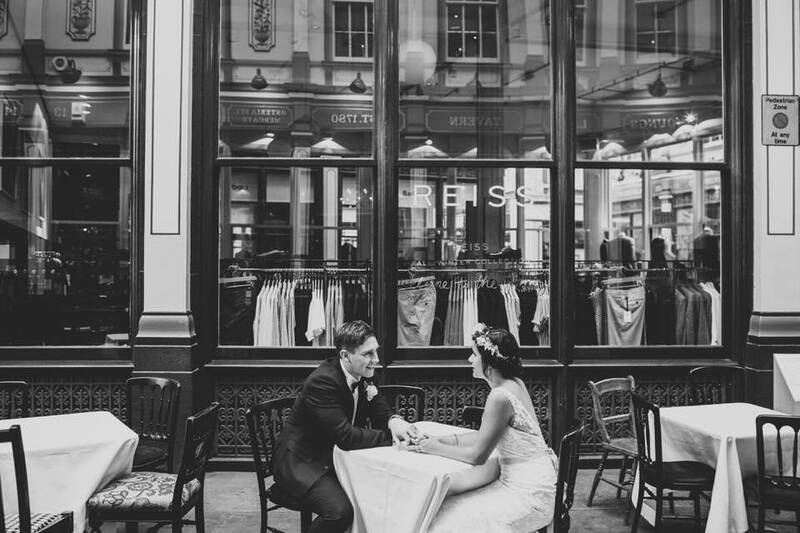 All events are tailor made with a designated event planner to design and arrange all requests for the bride and groom; be it taking the first dance on the cobblestones accompanied by a live band playing under the ornate glass canopy, to a pre-wedding Champagne breakfast. If you’re looking to turn your nuptials into a weekend sojourn in the Big Smoke, the nearby Fox & Anchor is an exquisite boutique bed and breakfast, boasting six beautifully designed rooms. 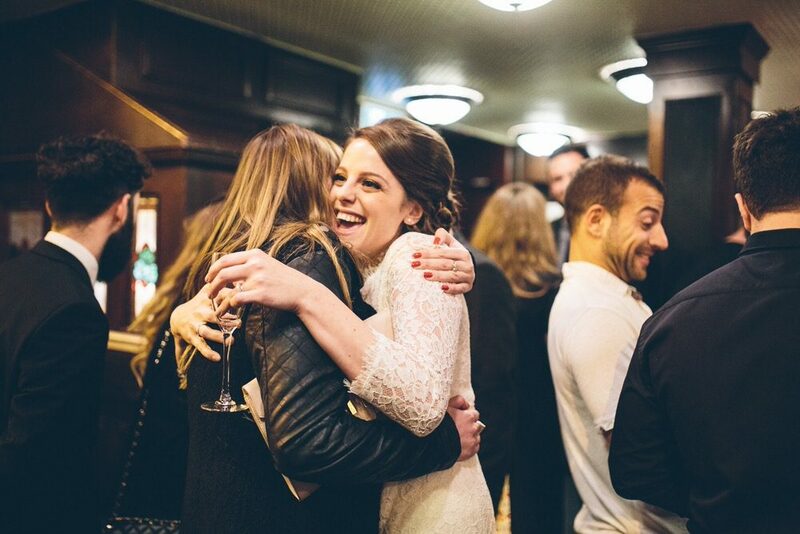 With a discount available for all members of the wedding party, it’s the perfect place for just-weds to spend their wedding night, or overnight accommodation for family and friends based out-of-town.